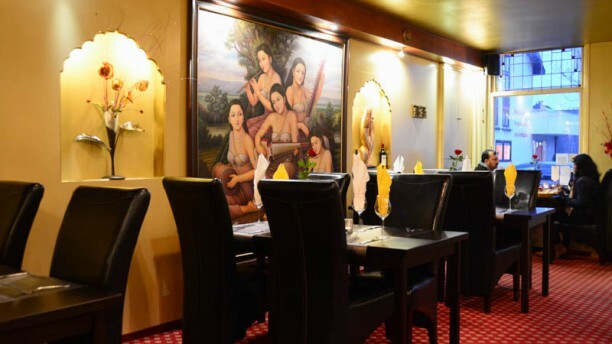 Himalaya Palace Restaurant is the Indian-Nepalese restaurant with royal allure. In our concept, we combine culinary dishes from India and Nepal with hospitality and warm ambiance. A restaurant where you can eat and enjoy an evening of culinary delight. Be surprised by our authentic curries and tandoori dishes expertly prepared using specific herbal blends. Food was very good, staff is nice as always. My favorite indian restaurant. Besides the food, the naan and mango lassi are also great. Keep up the good work. We had the best food in near bye Amsterdam Airport . Chicken mo mo was the best. Tandoori mix grill are delicious. Also we had two plates with mixed Nepalese Thali food. Best also. Nice and friendly staff. We return for sure. Great dinner tonight, food is tasty and nice atmosphere. Food does seems to be more Nepalese oriented then Indian. Nonetheless, really tasty food and great service. The service partially a bit overstrained, but really friendly and the meal amazing! Excellent food n service ???? This is our third visit to Himilaya in the past 6 months. Great food, great service, a great place overall. We highly recommend it. Very nice menu selection, friendly service and food that is worth the money. I would say it can be just a little bit more flavoursome, but for a Dutch experience of Indian food it is very reasonable! We booked here with a A.H coupon. It was really busy but we did go on a Saturday, so service was slow, but the staff were great. We chose our 3 course meal from the menu, so no restrictions with the coupon. The food was worth the wait. So if you enjoy a good curry give it a go. One of the best Indian Restaurants in Holland...Good food with many dishes to choose from...at an affordable price & very friendly service..they make you feel special...good selection of wines & Indian beers.......relaxed sphere fit for business meetings & family dinner. If Indian food is your favorite, you should really try this restaurant. The food is delicious and the service is great.